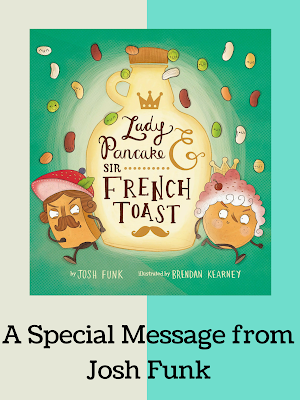 Mr. Schu, I am honored and thrilled to officially reveal the book trailer for Lady Pancake & Sir French Toast on your most excellent site. But rather than bore you with anecdotes of how much fun it was to write the song, or prate on about Brendan Kearney's scrumptious illustrations, or promote the fact that this book hits shelves on September 1st, I'd rather speak about something very close to my heart. By that, I mean, my stomach. At this very moment I would really like to fill my stomach with delicious pancakes and tasty french toast. But once again, my children have nearly finished the syrup, leaving only a single drop for me. So why don't you watch this trailer while I make a quick trip to Vermont. 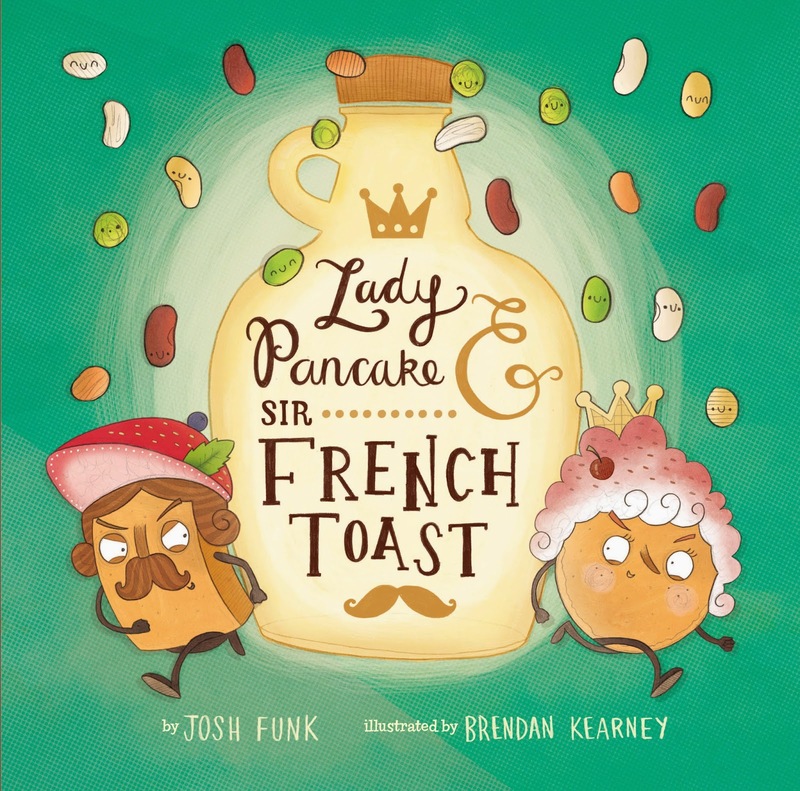 From Sterling Children's: The race is on... Lady Pancake and Sir French Toast are the best of friends until word gets out that there's only one drop of maple syrup left. But only one of them can enjoy the sweet, sweet taste of victory. Is their friendship toast? Josh Funk​ lives in New England with his wife and children. 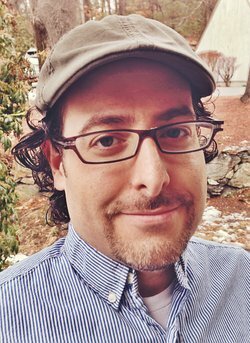 He is the author of the forthcoming picture books Lady Pancake & Sir French Toast, Dear Dragon (Viking/Penguin 2016, illustrations by Rodolfo Montalvo), and Pirasaurs! (Scholastic 2017, illustrations by Michael Slack). 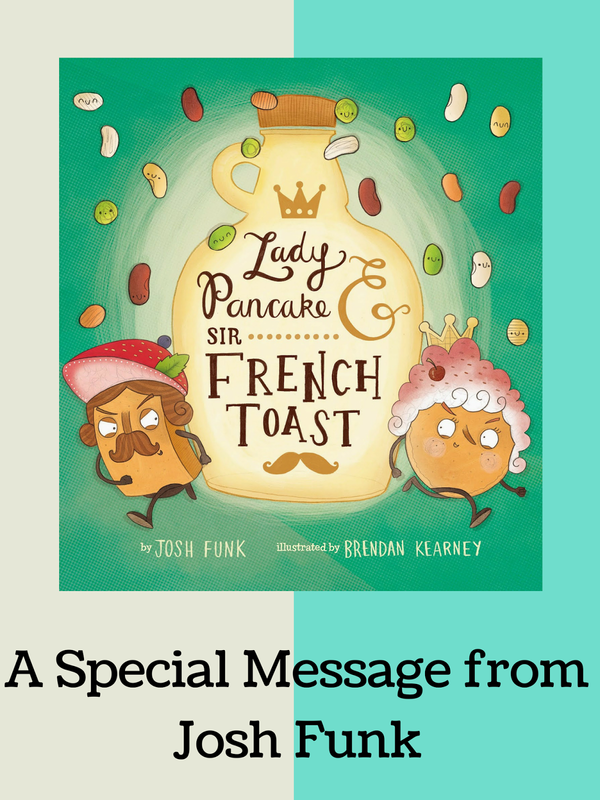 Borrow Lady Pancake & Sir French Toast from your school or public library after September 1, 2015. Whenever possible, please support independent bookshops. Sooooo happy to have the world see, hear and taste(?) this trailer for themselves! Such a delectable treat! Thanks for sharing, Josh & John! Thanks for the sneak peek. I'm looking forward to the release. Most excellent song and trailer, Josh! Can't wait to find out who wins the race. Maybe they split the last drop? One can always hope! Josh, The fill in the blanks were hysterical! Congratulations and a toast to Lady Pancake and Sir French Toast. Since I write kids' books and my daughter and her new husband are in the pancake business (Birch Benders), I think I have to root for Lady Pancake! Wonderful stuff! So fun! I almost can't wait for summer to end. I have to be on Lady Pancake's team. Great trailer!